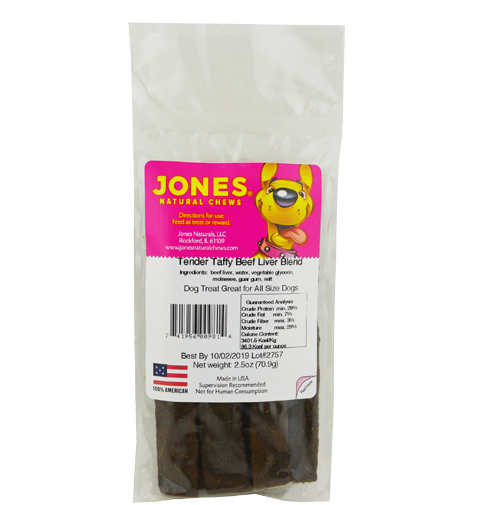 Tender Taffy Beef Liver Blend is a soft and flexible strip that breaks easily into pieces for training treats. It is made of USA all-natural beef liver and a few other natural ingredients. No artificial ingredients are added. All size dogs will love the taste of this treat. All Jones’ products are 100% grown and made in the USA.